He arrived to Waterford on the 14th November taking, it is believed, the ferry at Grannagh. Here he tells us it was his good fortune to take a small row boat across, the main ferry being full of pigs. The weather was atrocious and they had to nearly use violence, to prevent others boarding the ferry and I presume risk it being overloaded. Due to the weather, no ships can sail and he becomes the guest of Lord Waterford for the next week, visiting the city and environs. On the 19th November he received news of a potential sailing via Passage East to Swansea in the Bristol channel. He immediately set out for the village to look over the ship. Passage we are told is a little town covering a small beach between the river and the steep rocks which threaten the roofs of many of the houses. It affords an excellent anchorage, and the place is populated almost entirely with customs officers. At anchor is a kings man-o-war, and two naval cutters who he is told are constantly on station to combat smugglers. 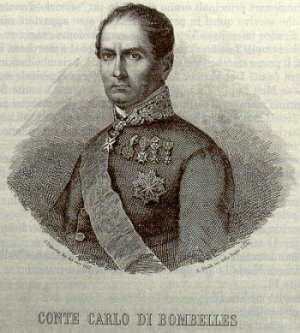 de Bombells is less than impressed with the character of the ships captain offering him a berth to England however, and the ridiculous high price sealed the decision to remain. On the 20th of November he drove to Ballycanvan to visit with a man we have often referred to here, Cornelius Bolton. At the time, Bolton is laying the foundations to a fine mansion, (the now Faithlegg House Hotel) which we are told will be a good location to all the enterprises currently taking place at Cheekpoint. During the day he calls to the village where the harbour is under construction, in anticipation of the basing of the official second mail route between Ireland and England. The Inn which Bolton has established we are told is already profitable with an abundance of passengers in what he describes as excellent lodgings. Very much at variance to the many reviews that would be published in later years! Mind you the Marquis didn’t sleep overnight. Later in the afternoon he visits New Geneva, for which he has as a venture, very little positive to say. I wonder did he share his opinion with Bolton, who was one of the sponsors of the scheme. 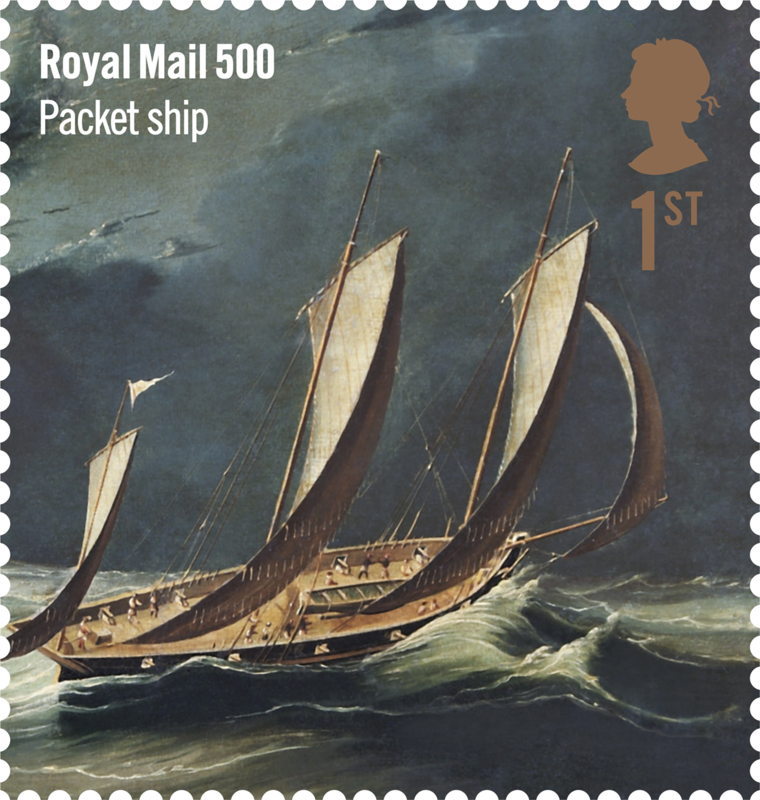 From his vantage point overlooking the harbour he espies the incoming Mail Packet, and when he later speaks to the Captain, he’s assured of a next day sailing. At Midday on November 21st Mr Bolton drove his guest to Cheekpoint where he boarded the Mail Packet which departed in beautiful weather at 2.30pm. There’s an interesting aside in that as they approach Passage, another passenger joins the ship. Although he does not say whether the packet calls to the quay or that the lady is rowed out to the ship, I’m assuming the latter. Further downriver he passeses under the cannon of Duncannon Fort, an old castle which, we are told, is kept by invalids. Then the Duncannon bar, the only obstacle to the harbour; “at low tide there is only 13ft of water, but at high water any ship can pass with safety”. Whilst here another three ships of the king of England pass. His companions are two ladies and four gentlemen, none of which it appears have good sea legs and when the ship gets becalmed in the night in the Irish sea, he is surrounded by groans and vomiting. At 6am on the 22nd, the wind gets up and later that morning they put into Milford Haven. His writing was done as a journal of his travels and was never, apparently intended as a book at all. As such he is less guarded in what he writes and perhaps a little non PC. If you can read French it’s free via google books, and if you prefer the print version it’s at amazon starting at £38. Reflecting on de Bombelles work, it’s clear that although he’s opinionated, pompous and judgemental in parts the writing is very informative and instructive of Waterford at the time. Another thought is that he has seems to have a very specific interest in recording military strengths or points of strategic importance. I wonder if given the role of emissary included being something of a spy, was his journal as much an aid to memory in reporting the strengths or deficiencies of the English crowns forces. Here’s a short you tube video of his life. Funnily enough it’s the same information repeated on several sites including the wiki link above, but at least it shows a few portraits. Waterford, men and women have gone to fish. Colleen II and Mickey Duffin skippered the Maid of the West. were joined by the Passage and Ballyhack men. they came across to meet us. chance of a decent haul if they left it too late. of it mapped out on the grey blue paper as a stylus etched the fish below. rope to the bow of the boat we hung from them. bags were added as the kettle started to sing. Hot and sweet, tea with a sandwich never tasted any better. flashing light that was used to mark the nets. unscrewed to break the connection and so keep the batteries. Waterford harbour, hasn’t always be known as such. Historically there have been several names, some of them very colourful and descriptive. Of course many others must be lost to us in the pre-history of the nation. either the lake of the two blind (ones), or perhaps, breasts. I favour the Lake of the Two Breasts. It suggests, as Power explains, a seafarers view of the harbour from out to sea, and the custom (still employed by fishermen) of taking marks from the land to give a position. The “Breasts” in this case would have been Tory Hill and Sliabh Coiltia. interesting story of locals proceeding to Tory Hill to worship the sun (pp109-111). I find that a fascinating concept and love the connection to the Power’s thoughts above. name, Port Lairge. Port (Loch or lake to some) Lairge (tigh). Again some interesting perspectives, some claiming it to be the port of a chap named Lairge, including some speculations on our national loganim site. Most online sources say it’s a descriptive term of the shape of river and land at the city and its similarity to a persons thigh. With the coming of the Norse men we again see a change and it brings us to the modern English name, Waterford derived from Vadrefjordr. For the Vikings when they arrived recognised in the harbour a refuge or haven from storms (Vedr = weather) and (fiord = haven). According to Arnoldus Hille[iii] when the Normans arrived the adopted the Norse name as it was closer to their own tongue than the Gaelic, but it became corrupted in the translation, Vadre becoming Water and Fjorde becomes ford. Weather haven becomes Waterford haven in the Norman times then and I’m not sure at what point we loose the haven but it was still in use when William Petty oversaw the mapping of the area for the Down Survey following the Cromwellian invasion. I’m sorry to have lost the Haven. But of course it’s worth reminding ourselves that it might never have been known as it is now at all. 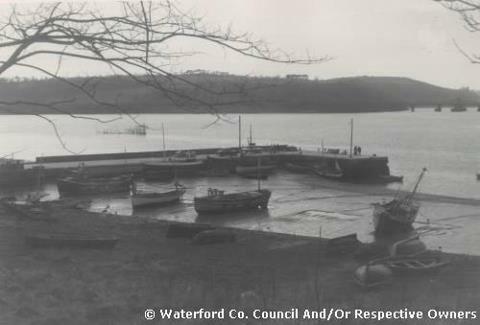 Named for the city and its dynamic port, had the intentions of Marshall and his competing project of the port of New Ross bested Waterford,the harbour may have been named for its shipping rival. I publish a blog each Friday. 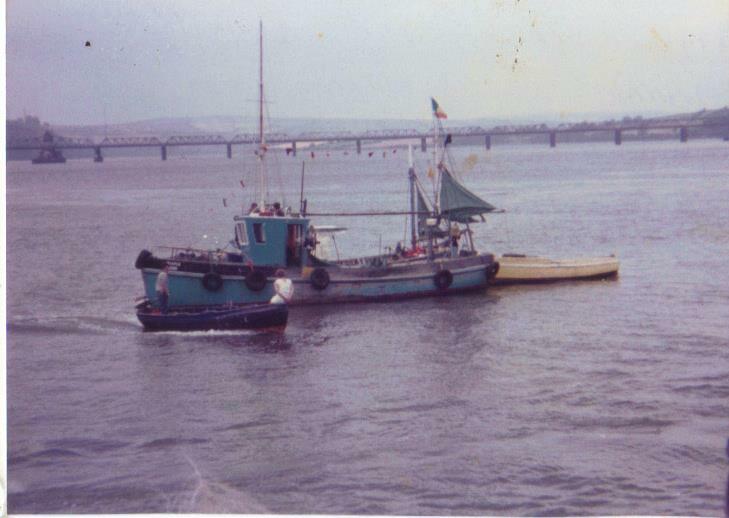 If you like this piece or have an interest in the local history or maritime heritage of Waterford harbour and environs you can email me at tidesntales@gmail.com to receive the blog every week. 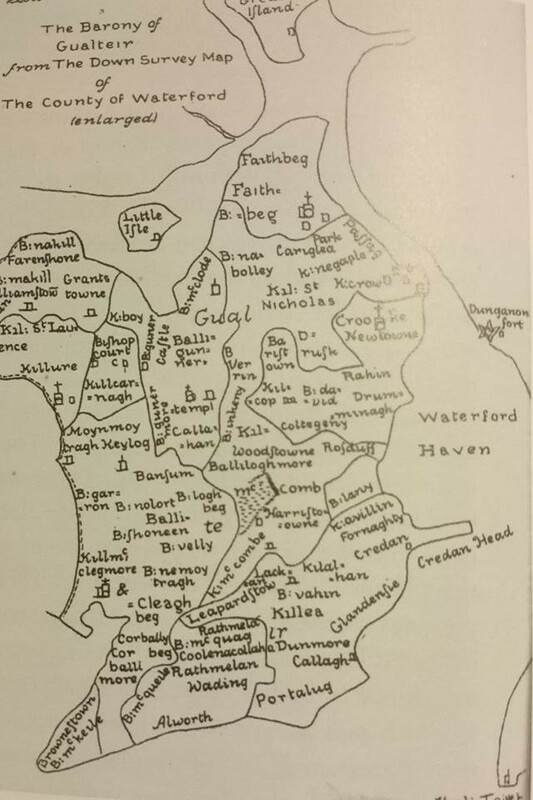 History of Waterford City & County. Hille. A. The Making of Waterford. Decies #5.
were a number of curious features off the main quay known as Eel boxes. timbers, with holes bored into the sides, to allow river water to circulate. the keeping of fish for markets. question had many local names including chests, boxes, Corf, Corves, Korb and Koff. Surprisingly to me I managed to find an online link to one such phrase. The Corf or Koff words derive from Germany or Holland and are taken from the Latin Corbis for a basket. used to keep fish fresh for market, and not just hardy creatures such as eel. astern of sailing craft, to bring fish to market. bring live Cod from Iceland to England and in particular the London market, and led to the curious practice known, and sometimes assigned to the boats as Cod Bangers! destination it seems was the fish chests of Gravesend on the Thames in London. coast, but by then trains and steam boats led to faster delivery times in any case. in the keeping of lobster and crab, albeit in much smaller boxes. And if you think the well boats are extinct, google Livewell. You can even buy the technology on ebay! H. Once upon a tide. 1955. Harrap.